Arnold Clark triumphed in five categories at the prestigious event. Arnold Clark won the headline Dealer Group of Year award. Arnold Clark won no fewer than five awards at last night’s AM Awards, including the prestigious headline award, Dealer Group of the Year. There were also wins for Best in Customer Service, Best Used Car Dealer, Best Website and the Community Hero Award – as well as a commendation in the AM People Investor category. In a challenging market, Arnold Clark reached a record turnover of £3.93 billion and has increased the number of employees by 23% over the last five years. With the opening of new branches including a number of new Motorstores, the Group now boasts 200 branches throughout the UK. These factors, coupled with the innovations recognised within the other categories, have led to Arnold Clark being named Dealer Group of the Year 2019. While the current version of the Arnold Clark website was released in 2016, it is constantly refreshed with new innovations. With 60% of traffic coming from mobile, we ensure the best possible customer experience on these devices. Our award-winning Deal Builder feature means that our customers can create their perfect deal the car they want, online, anytime. We’ve also increased our use of images and video to provide the customer with a great view of all our cars before they visit the branch. And with a new consumer app featuring image-recognition technology, the innovations keep on coming. With more than 200 branches located throughout the UK, it’s vital for the Group that we offer consistent customer service. To help with this aim, an internal customer service experience initiative was launched and a new department created, with dedicated teams in every branch driving change and encouraging feedback ¬– to transform our customer service into a customer experience. While conditions have been challenging for the new car market, Arnold Clark has continued to increase sales by taking advantage of an extremely healthy used car market, which has helped to increase turnover to a record £3.93bn. 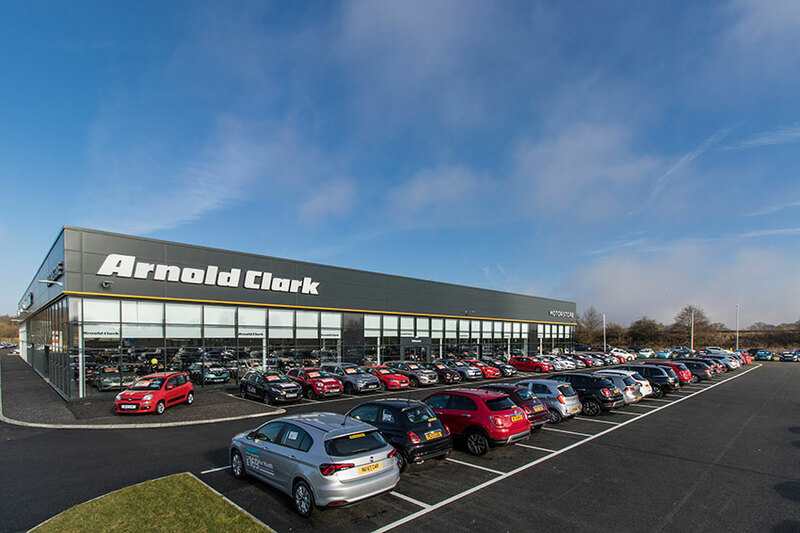 Thanks to dedicated franchise branches as well as Motorstores and Delivery Centres, Arnold Clark is able to offer customers more choice when buying their cars. Our expert product consultants also work with our customers to help them find the car they need and a finance package to suit their budget. Arnold Clark has supported a number of charities and community-based causes throughout the UK during the past 12 months, with more than 500 donations being made by the company in 2018. As well as being Platinum Sponsor of the Kiltwalk, providing prize cars, services and support, this year also saw the launch of the Sir Arnold Clark Summer Camp Fund in Partnership with Cash for Kids. This aims to give children living in poverty across Glasgow and the West of Scotland a life-enhancing and memorable experience during the school summer holidays. The awards took place on the 7th February at the International Convention Centre in Birmingham with the ceremony hosted by Lisa Snowden and the cream of the motor industry in attendance. In total, 26 awards were presented in a diverse range of categories, recognising innovations in social media and outstanding customer service as well as the best manufacturers and retailers.